Alien blue is a great looking, popular, well balanced app for browsing Reddit. There’s a free version and a pro upgrade – though the free version is very comprehensive and provides you with everything you need for browsing Reddit (ads not included!). The biggest downside? You can’t manage your subscriptions. Upgrading to the pro version for $1.99 grants you this feature, among a few others – like different ways to view images, the ability to apply filters and more. 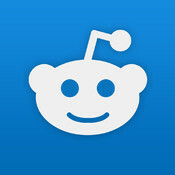 If you do use this app, and have requests for changes, want to know how to do something, or have an issue with the app and want assistance, you can always go to Alien Blue’s own subreddit. 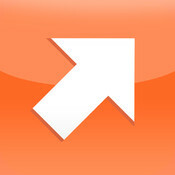 Karma is a free, ad-based app that provides the user with a minimalistic Reddit browsing experience. The clutter-free UI is the most praised feature of this app – many features normally available in Reddit aren’t in this app, though the essentials are. Another feature (though potentially dangerous, as Reddit is often already characterized as an addictive site) available is unlimited scrolling. Karma doesn’t have it’s own subreddit, but one of the developers (eni9889) often posts in Reddit asking for input, posting previews, and discussing updates. These posts can be found here. This app is in Pre-Beta, but it’s surprisingly stable and absolutely beautiful. The minimalist and easy to use app utilizes a card UI (user interface) and has the ability to hide comments. Currently free, this app is definitely worth a try for Android users. As it is in Pre-Beta, some bugs should be expected – though there are relatively few bugs, certain types of images and videos can cause slight issues. The upside – currently this free app has no ads! 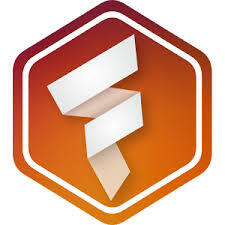 If you use this app, you can send feature requests and bug reports through Flow’s own subreddit, as well as keep informed about the newest updates. Reddit Sync is a free app, though unlike Flow it is ad-based. This app also utilizes a card UI, and supports multireddits. To get rid of ads, you can use the pro version of Reddit Sync for $0.99. This app can do almost anything you’d want, and outside of the ads, there really isn’t much to complain about. Occasionally this app has difficultly opening some web pages with full functionality, but overall is extremely stable. 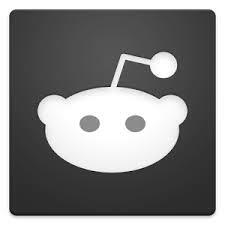 If you use this app, you can go to Reddit Sync’s own subreddit for news, updates, discussions, and help. The Reddit Enhancement Suite has a lot of useful features – filtering out content, comment viewing customization, keyboard navigation, and more! For a more comprehensive list of features, just go here. You can add this suite to Chrome, FireFox, Opera, and Safari for free. You don’t have to stop with these four apps, however, in your search for the ideal Reddit browser for your mobile device. Check out this article from Cult of Android or this article from Cult of Mac for some other apps that you might want to try out. Don’t forget to search your App Store as well! Some of the best apps are the ones you find yourself. Once your ideal app is found and installed, enjoy your mobile Reddit browsing!